Duncan Pritchard is Professor of Philosophy at the University of Edinburgh and Fellow of the Royal Society of Edinburgh. He works mainly in epistemology and he has written several books in this field, including Epistemological Disjunctivism (2012), The Nature and Value of Knowledge (2010), and Epistemic Luck (2005). Lee John Whittington is a PhD Candidate in Philosophy at the University of Edinburgh. 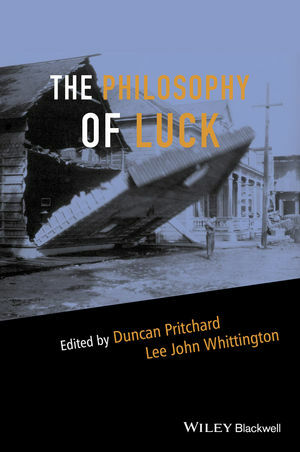 His research is focused on the metaphysics of luck and its relation to moral and epistemic luck.